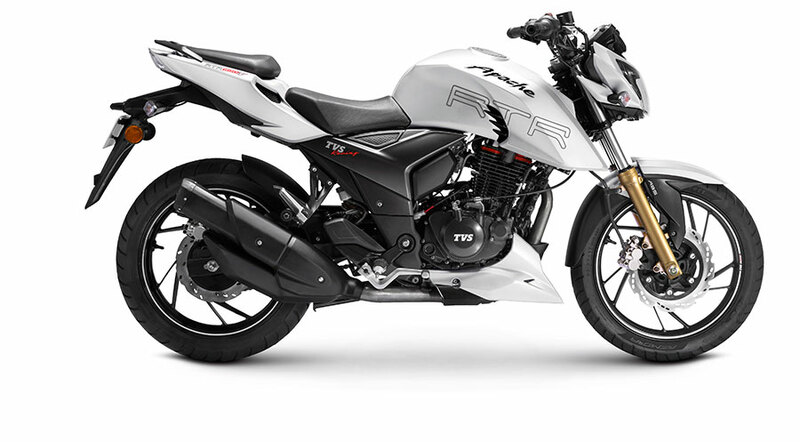 TVS Motor Company, a leading manufacturer of two-wheelers and three-wheelers in the world, has introduced the TVS Apache RTR 200 4V with ABS. The carburetor variant of the premium motorcycle will now boast of a first-in-segment Dual-Channel Anti-Lock Braking System (ABS). The new generation Dual-Channel ABS unit on the TVS Apache RTR 200 4V has been developed through extreme and extensive research on the race track. Assuring superior confidence in late braking and optimal cornering control, it is well-tuned for both high friction and low friction surfaces thus ensuring a precise and sharp feedback to the rider. The Dual-Channel ABS comes with a unique feature of Rear Wheel Lift-off Protection (RLP) control which offers quick detection and recovery of the wheel-lock and achieves higher dynamic stability through precise close-loop slip control. This variant will also bear an ABS sticker on the right side of the front mud guard. The motorcycle boasts of an impressive peak power of 20.5 PS @ 8500 rpm with a torque of 18.1 Nm @ 7000 rpm mated to a 5-speed gearbox. With an ascending top speed of 127 kmph, the TVS Apache RTR 200 4V with Dual-Channel ABS does an astounding 0-60 kmph in a mere 3.95 seconds. Designed to deliver an adrenaline rush along with safety and an exhilarating race performance, the variant is christened as TVS Apache RTR 200 4V ABS. The new variant will be available across India at a price of INR 1,07,485. (ex-Showroom Delhi).